hd00:15Closeup footage shot of rain falling on water surface on the rain road. hd00:25Water flowing over the stones. 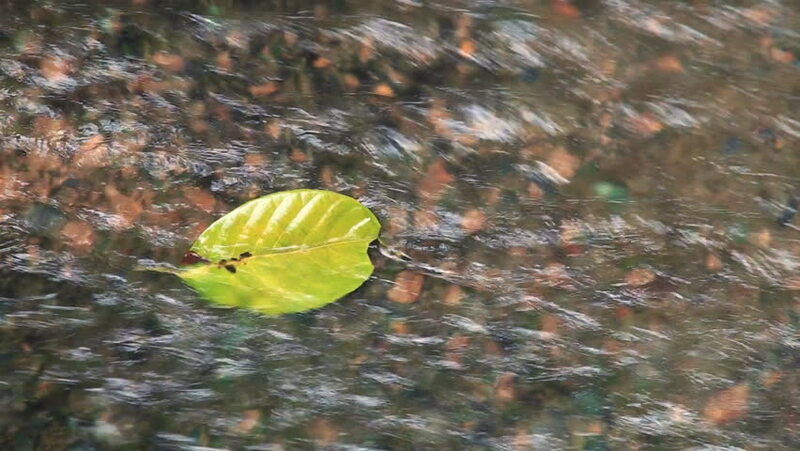 Close up video with yellow leaf in stream.